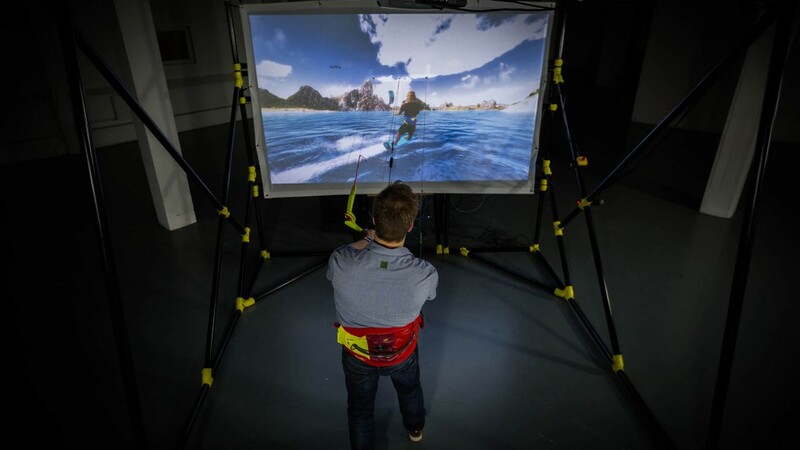 At KiteSim our goal is to develop a realistic and fun kitesurfing simulator that allows beginners to start kitesurfing in an easy and safe way. 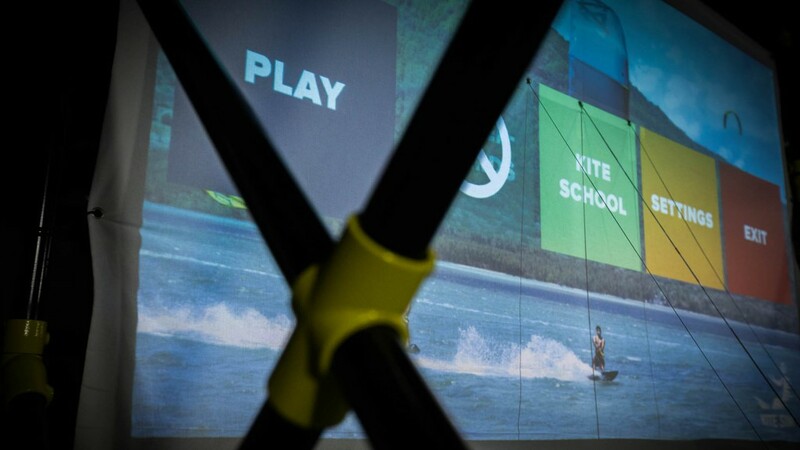 But also allows pro kitesurfers to train in perfect conditions. 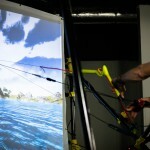 We are developing the KiteSim simulator in collaboration with the TU-Delft and design agency nSize. 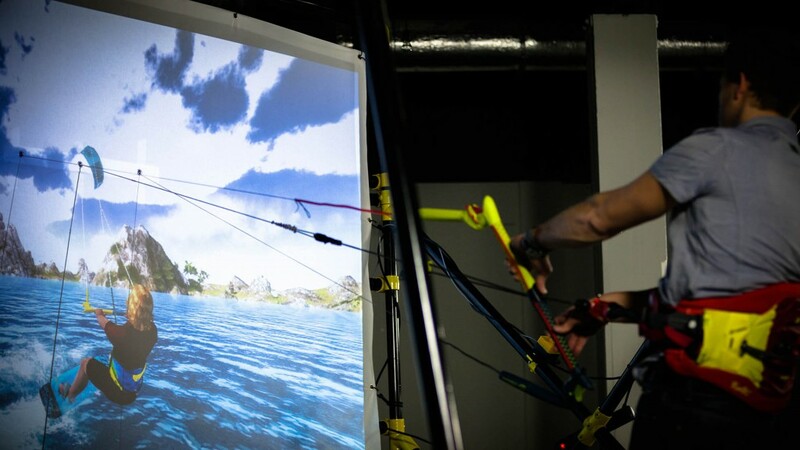 The simulator is based on a realistic computer model that simulates the forces on the kite, the rider and the lines. These forces are exerted trough the simulator and experienced by the rider. The actions of the rider are measured and used as input for the simulator. 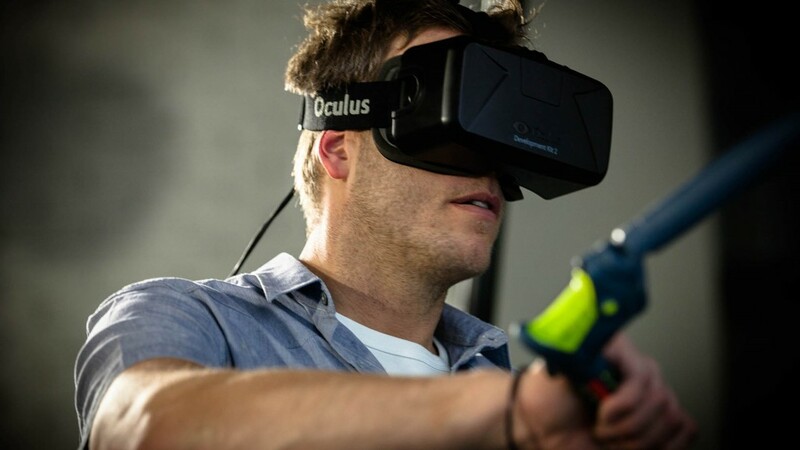 The simulator lets beginners experience the forces and consequences of their actions. 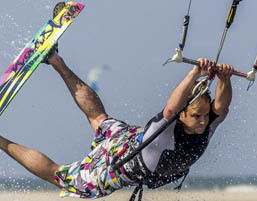 And it allows pro kitesurfers to train in ideal circumstances – independent of the weather. The super realistic physics are build by some of the smartest minds of the TU-Delft. They actually use the same physics model to keep an automated kite in the air for 24/7 to harvest energy. And a team of talented game-programmers made it into an awesome game. Tired of windless, cold or wet days? 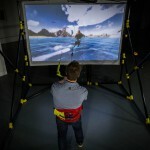 With the KiteSim kitesurf simulator you can decide the weather and surf with the perfect conditions – exactly the way YOU want to. 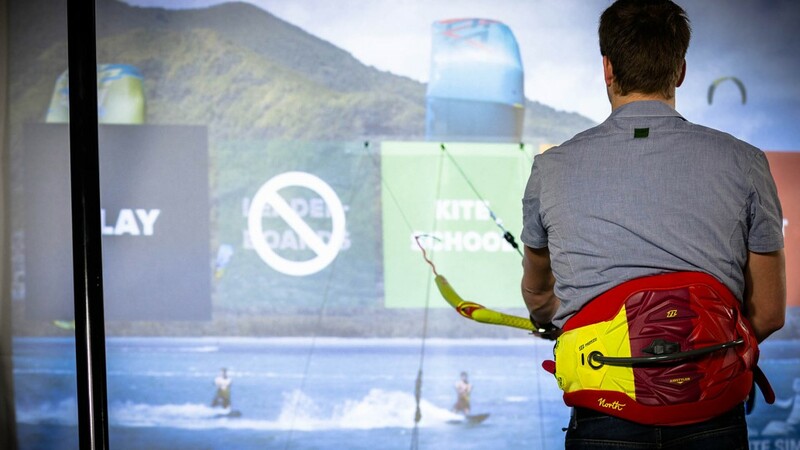 Learn to kite with hard conditions – or to some crazy sh*t, just because you can! You control the difficulty and can learn all the basics without being exposed to the hazards of training on land. And because your trainer is right there with you you can get advice from the side – instead of from far away on the beach. 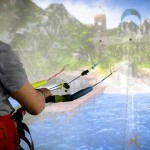 The KiteSim is available in different versions. We have the full-frame version, with force feedback. 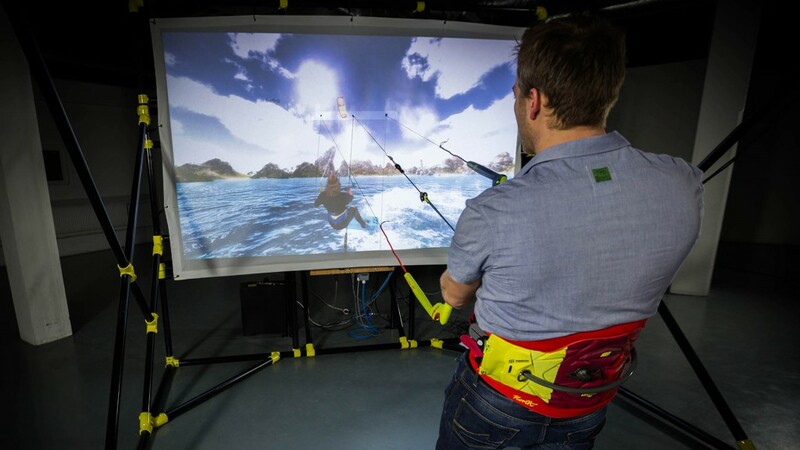 We can add an Oculus Rift to experience kitesurfing in 3D. 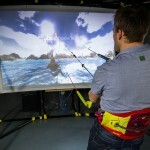 And we offer a desktop model to kitesurf behind your computer. Which one suits you best? 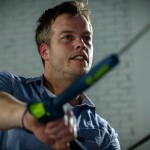 Robert Hoogendijk had the idea that led to KiteSim in 2010. 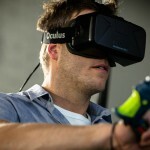 He immediately started to work on making it more than an idea and contacted Frank Schoenmaker. Together they worked out the first concepts and sought collaboration with the TU-Delft and Innosport. And since 2012 they have helped making KiteSim a reality. 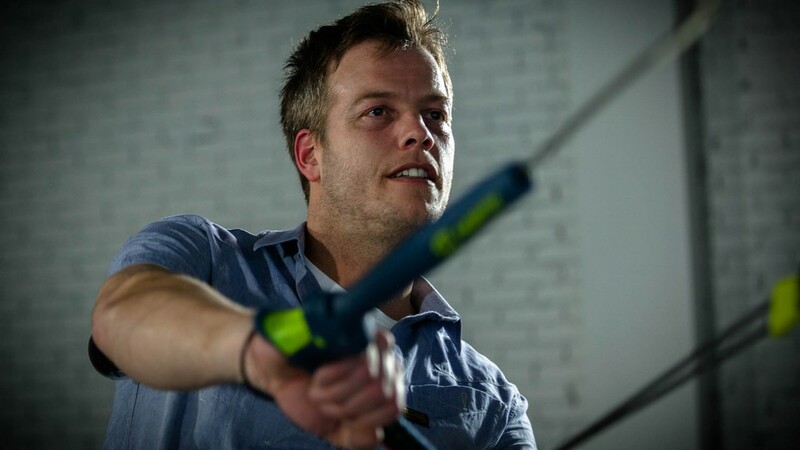 Robert is the founder of KiteSim and a fanatic KiteSurfer (obviously). 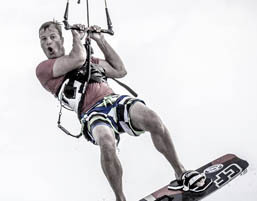 As partner at nSize, Frank has been responsible for the development of the technical side of the KiteSim since 2010. 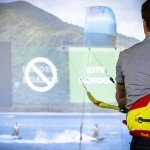 WANT TO KNOW MORE ABOUT THE KITESIM? 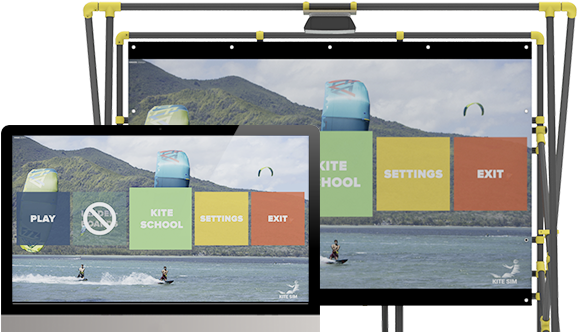 Maybe you want the KiteSim for your school or event? That’s possible, give us a call, and we will hook you up. 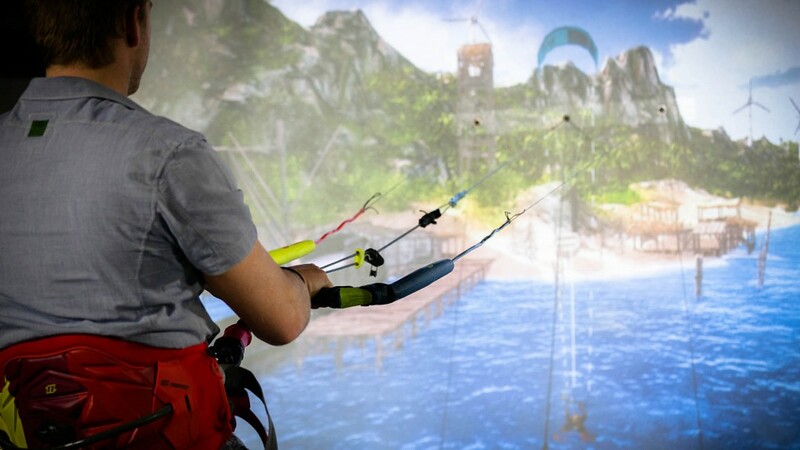 The purpose of KiteSim is to develop a realistic kitesurf-simulator that allows beginners to learn in a safe and fun environment. 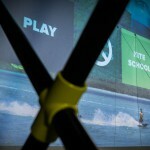 And allows top kitesurfers to practise even if the weather won't allow it.